Think you know the online music scene well? Then test your knowledge against this infographic listing the major players in the online music landscape. 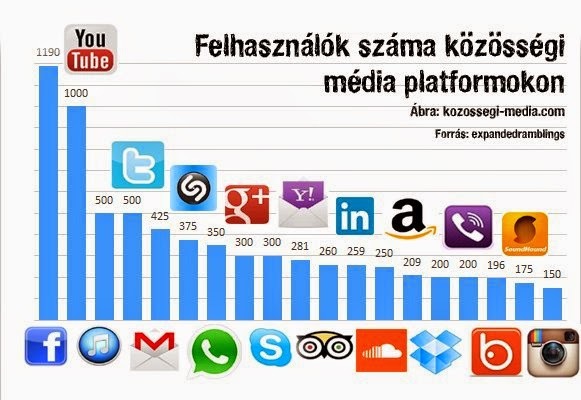 A közösségi oldalak (Facebook, Twitter, Pinterest, YouTube és a többi) jelentősen hozzájárulhatnak a népszerűség növeléséhez, a zenei karrier építéséhez. Hatékony használatuk azonban hozzáértést és sok időt igényel. Ehhez nyújt segítséget ez az ingyenesen letölthető, angol nyelvű útmutató. Make Facebook, Twitter, and the rest work for you and your music. It’s probably not a surprise that using Facebook, Twitter, Pinterest, YouTube, and other social media sites can help your music career. But it’s not always clear how to use these sites effectively. And managing half a dozen profiles can turn into a full-time job. How then to get the most out of social media? Our free guide, The Musician’s Guide to Social Media, offers valuable, hit-the-ground-running advice, featuring tons of suggestions for how to get the most from your videos, photos, and tweets, how to manage all your profiles without it taking all day, and how to build your fan base. Get your copy of The Musician’s Guide to Social Media today!